Felixstowe Warehousing is one of the UK’s leading providers of warehousing and storage services and sustainable, international freight handling solutions. Felixstowe Warehousing benefits from an extremely streamlined supply chain due to its long history of meeting freight demands, since 1833. Currently under the leadership of Director Stuart Gosling, who has over 30 years’ experience in the logistics industry, the company has continued to expand year on year. This type of operation is on a momentous scale and explains why this company demands such a wide and innovative selection of industrial machinery. 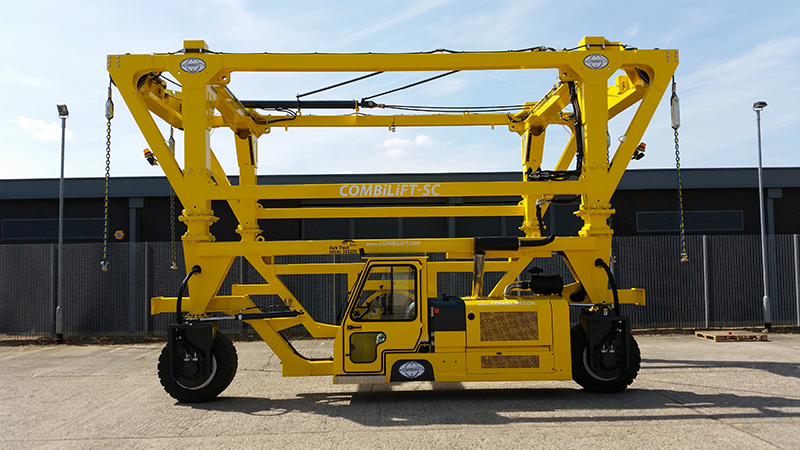 To further optimise their workspace and utilise performance, last year, Stuart decided to place an order for a new Combilift SC3 straddle carrier with Fork Truck Direct. Having researched and discussed the numerous benefits with FTD’s own Jimmy Pascavage it was clear that these lifts are perfect for the freight industry. These straddle lifts are mammoth in scale, imposing and complex. They are designed to lift shipping containers and long objects, and really are an engineering feat! Having been immensely impressed with FTD’s service response and the level of support we provide after taking delivery of the SC3, Stuart decided it was time to review the supply and service support on his full fleet of trucks. New solutions and the need for upgrading is a must for any lively and dynamic business. 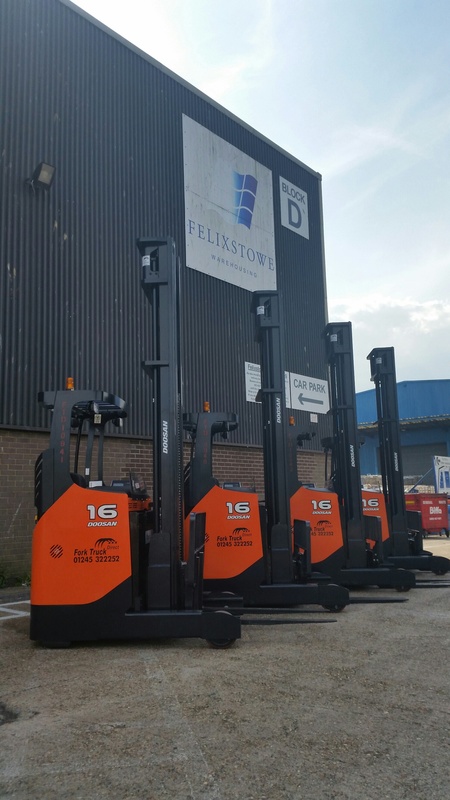 Subsequently, earlier this year, FTD sealed a deal with Felixstowe Warehousing for the supply of a brand new fleet of 35 forklifts consisting of mainly new Doosan diesel forklifts and electric reach trucks, with FTD being solely responsible for the supply, maintenance and servicing. During phase one of the deal; FTD delivered 4 brand new Doosan BR16JW-7 reach trucks. As you can see below they are designed to reach great heights, optimising useable warehouse space.